You can often find our Steve posting about the heroes (not the show, but I'll get to that in a bit). I'd like to introduce you to Tim Susco and his family. They are true heroes. Tim seemed like the every day guy that you'd want to be friends with! Tim Susco ran track and cross-country, overshadowed by teammate Alan Webb, who ran the fastest mile by a high school student ever. Susco graduated in 1999, went to Temple University and received a degree in film and media arts. He worked on various projects in Philadelphia before moving to Los Angeles to try his hand at the entertainment business. He took any odd job he could find, his father said, and finally landed a job on "Heroes" on NBC. 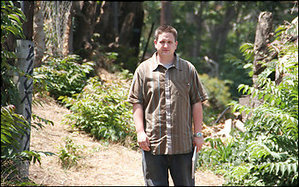 He helped producers find locations around Los Angeles, and was a hit with the crew, his parents said. Let me also introduce you to Paul Dean, a 60 year old from Maui Hawaii. In 2007 Paul was waiting for a life saving lung transplant when doctor's discovered had been damaged by the same diseased that debilitated his lungs. "I accepted that, hey, it's over," Dean said. "I've lived a full life. I've experienced everything I wanted to experience, except I was going to miss my grandchildren." Dean, who has six children and 20 grandchildren, had moved from Maui to Los Angeles and waited a year in hopes of a transplant. He got the call Aug. 17, 2007, saying he was getting a new heart and lungs. Just days before Paul got his blessed call, tragedy struck the Susco family on August 11, 2007 when Tim brain was attacked by an aneurysm. His parents rushed to L.A. to be at his side, but Tim never awoke. He died August 15, 2007. Paul was the gentleman to receive Tim's heart and lungs. The operation was a success. 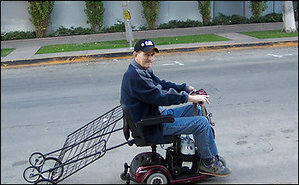 Once he was attached to an oxygen tank 24 hours a day and needed a scooter to get around; now he needs neither. His only problem is when his muscles get sore from walking too much. Soon after the transplant, he looked for whom to thank. Although organ procurement organizations typically seek to protect the privacy of people involved in transplants, Dean and the Suscos began establishing contact through their organizations. "Every time I write to them," Dean said, "I express my gratitude and appreciation for giving me the chance to continue." Paul and Tim's parents, Tom and Nancy will finally be meeting for the first time this October in Maui. They will be attending a parade to honor organ and tissue donation. The Suscos have gotten more deeply involved in advocating for organ donation and brain aneurysm research. 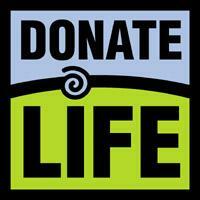 Many people sign up to become organ donors when they receive their driver's license, but it can also be done online in Virginia, through a group called Save 7 Lives -- because that's how many organs can be recovered -- at http://www.save7lives.org. Although 90 percent of Americans say they support organ donation, about 20 percent -- 60 million -- have formally registered as organ donors, according to El'Jay DeShield of the Washington Regional Transplant Community. Most states, including Virginia, Maryland and the District, have Web sites for online registration. 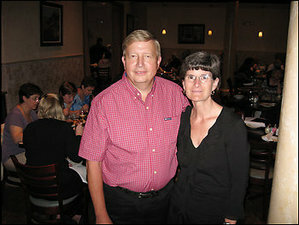 Information about the benefit race in Tim Susco's memory, at which Webb is to appear, is at http://www.susco8k.com. #1 Have the important discussion with your family (children included) about your thoughts of organ and tissue donation. Heaven forbid something happen to you, make that decision easier for your loved ones. #2 When renewing or receiving your drivers license make sure to mark "Yes"
In addition to Dean in Hawaii, a woman in California had gotten one of his kidneys. That allowed her to get off dialysis and freed her husband from having to accompany her to the frequent treatments. Another kidney went to a man in Washington state. His liver was split in two and given to a 3-year-old boy and a 17-year-old girl, the Suscos said. Both organ recipients have experienced dramatic life improvements.